I decided this blush deserved its own post because every time I wear it—or post a photo wearing it, I get asked about it. And I pretty much wear it everyday. It’s my go-to, my all-star. 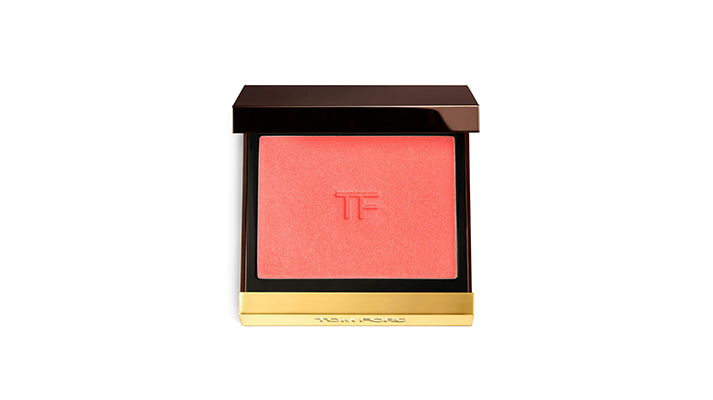 It’s a peachy-pink powder blush that’s part of Tom Ford’s permanent collection. It’s bright but blendable. Not too peachy and not too pink, with no shimmer or sparkle. It seems to look great on everyone. My blond friends, my more olive-complected friends. It’s like the universal wonder blush. 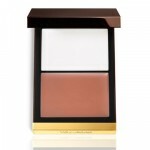 I’ve been patting a little bit of this Tom Ford illuminator on top lately and loving the look—my own brand of subtle strobing, if you will.